Ko Kimura has been spinning as a professional DJ for over 15 years. 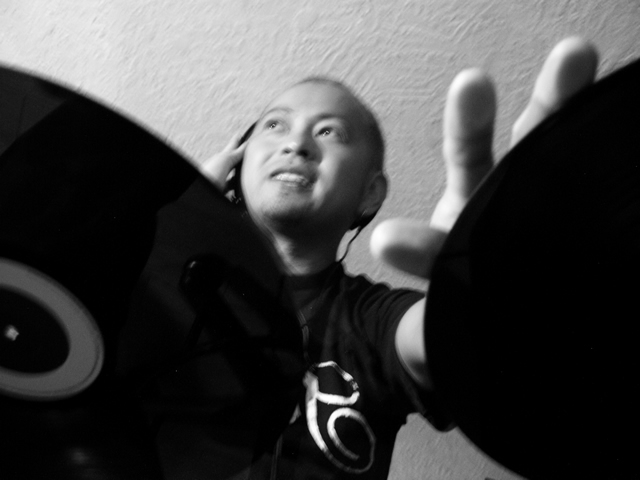 He started DJing in his teens, and was one of the very first DJ to spin House music in Japan. Now he is known as one of the most influential and most talented DJs in Japan. The vinyl he reviews on magazines or he plays become hit items in record shops, he appears on Japanese media quite often as a charismatic opinion leader for underground culture. All his regular parties attract average of 1,000 clubbers. Outside Tokyo, Ko also plays at clubs in major cities throughout Japan every month. Outside of Japan, he became the first Japanese DJ to play at the main floor of the Ministry of Sound, London in 1998. He also played many times in Hong Kong, spun for Singapore crowds three times, and also made an impact as a powerful DJ in Sydney when he played at Sublime in the fall of 1999. Ko also introduced club culture to Guam, and has already spun twice last year. Ko was a Japanese embassador at a huge rave “Lovestern Galaktika meets Expo 2000” in Hannover, Germany. The 1st 12inch “Boys EP / Ko Kimura presents SOUND BRIGADE” was sold out right after its release. Ko activated the label again at the end of 1999 with a series of new releases including his original track “HOUSEMUZIK” (FUTIC 005) in the spring. His ambition with FUTIC is to introduce Tokyo sound to the global dance scene. Has been supported by key corporations in Fashion; From time to time, his parties or Ko himself have been supported by Calvin Klein, Guess Jeans, Swatch, and Seiko Watch (Spoon). Up till today by Stussy, NIKE, WTaps, Neibgborhood, realmadHectic, and other charismatic street brands. Ko is recognized as an icon for youth culture. Is a pioneer DJ for mix CDs in Japan; When dance music was not yet so big here, he released the first mix CD ever released in Japan “Ultimate DJ’s Anthem” (Toshiba EMI) in 1995. He created a new Mix CD series “MIXWORK” in 1997 from Warner Japan. It was received with surprise because the CD contained many tracks licensed from different independent record labels, for it was normal in Japan that time to have tracks from Warner only. Now he has launched a new series “KO:HEAR:ENCY” in December 2000. KO:HEAR:ENCY series will contain latest hits and upcoming tracks from the dance floor.